The United States decision to withdraw from Syria will allow the Islamic State of Iraq and the Levant (ISIL, also known as ISIS) to regroup at a critical stage in the conflict, US-allied forces fighting ISIL said. The Kurdish-led Syrian Democratic Forces (SDF) said on Thursday in a strongly worded bitter statement that a premature US pullout would have dangerous repercussions and a destabilising effect on the entire region. “The war against terrorism has not ended and (ISIL) has not been defeated,” the statement said, rejecting President Donald Trump‘s claim in the opposite direction. The statement said the fight against the group was at a “decisive” stage that requires even more support from the US-led coalition against it. The SDF also said the withdrawal would leave Syrians stuck between “the claws of hostile parties” fighting for territory in the seven-year-old war. Trump’s announcement on Wednesday stunned US legislators and Western allies, who challenged the president’s claim of victory. The US president defended his decision on Thursday. In a series of tweets, Trump said he was fulfilling a promise from his 2016 presidential campaign to leave the Middle Eastern nation. The US was doing the work of other countries, including Russia and Iran, with little in return and it was “time for others to finally fight,” he wrote. The SDF, reportedly supported by roughly 2,000 US troops, are in the final stages of a campaign to recapture areas seized by ISIL. However, they face the threat of a military operation by Turkey, which considers the Kurdish fighters who spearhead the force to be a “terrorist” group. 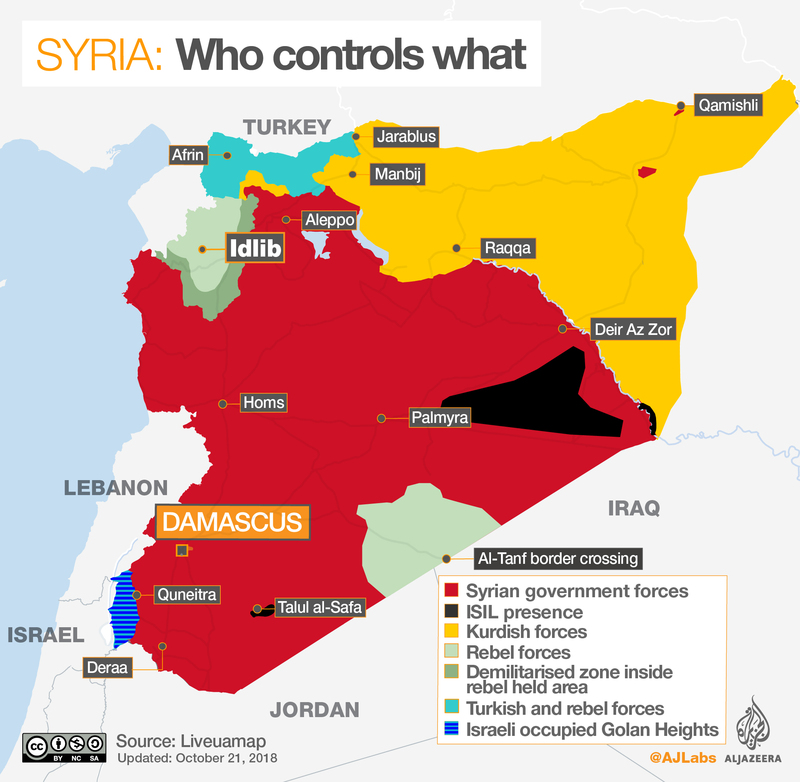 They are also under the risk of possible advances by Syrian forces – backed by Russia and Iran – committed to restoring President Bashar al-Assad’s control over the country. Western allies including France, Britain and Germany also described Trump’s assertion of victory as premature. “For now, of course we are staying in Syria because the fight against Islamic State is essential,” Europe Minister Nathalie Loiseau said, using another name for ISIL. France has about 1,100 troops in Iraq and Syria providing logistics, training and heavy artillery support, as well as fighter jets. In Syria it has dozens of special forces, military advisers and some foreign office personnel. A British junior defence minister said on Wednesday he strongly disagreed with Trump. “(ISIL) has morphed into other forms of extremism and the threat is very much alive,” Tobias Ellwood said in a tweet. ISIL declared a caliphate in 2014 after seizing large swaths of Syria and Iraq. ISIL established its de facto capital in the Syrian city of Raqqa. However, the group lost all their strongholds and vast majority of the territory it controlled since then.